Divoti Super Hero medical alert necklace for children of grown-up quality is playfully designed and features cute medical caduceus symbol on the front, which serves to alert first responders to the medical information of your child or kid. 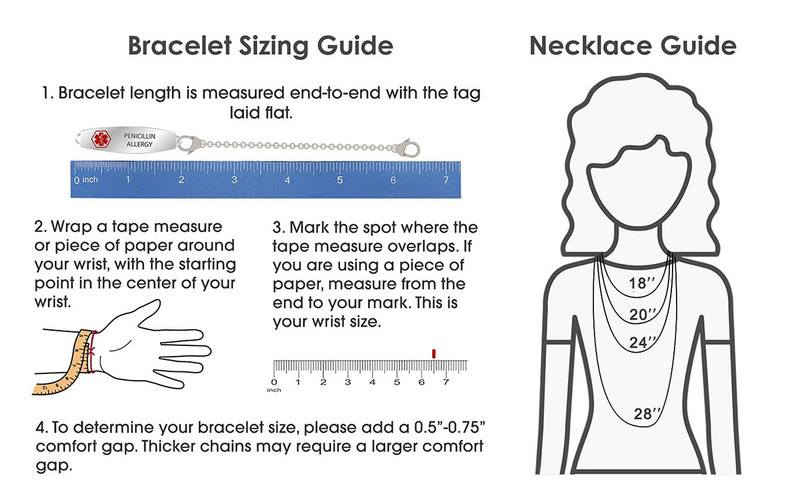 It comes standard with Ball chain of 14" or 18". We personalize your medical ID in San Diego, CA. Custom engraving means ALMOST any medical IDs will work: Nut Allergies / Autism / Asthma / Diabetes / Epilepsy / Hemophilia / Multiple Medications or other major health concern that would require special attention in an emergency. 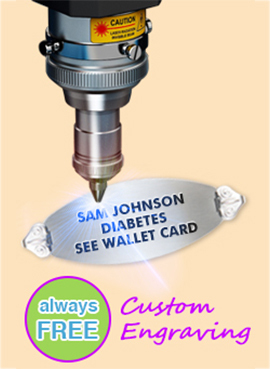 Divoti cusotm engraved medical ID makes a perfect child ID / kid ID for every occasion.